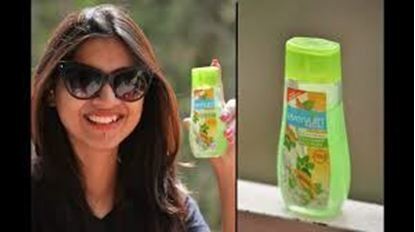 Patanjali Aloe Vera Gel soothes, cools and gives hydration. Aloe Vera, Base Material, Permitted Colour, Vitamin -E, Fragrance & Preservative. Useful in Rejuvenating, Nourishing, Beautifying & Glorifying skin, Helps in retaining healthy skin. Apply generously to all areas of the skin. Apply frequently to help maintain the moisture and to help prevent peeling. Everyuth Naturals Anti Acne Anti Marks Tulsi Turmeric Face Wash is enriched Tulsi, Turmeric, Brahmi, Willow Bark extracts & Tea Tree Oil. 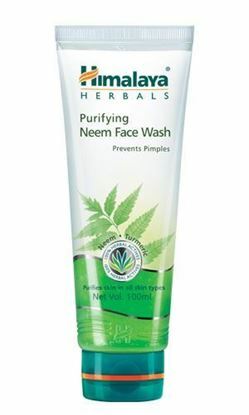 Himalaya Purifying Neem Face Wash is a soap-free, herbal formulation that cleans impurities and helps clear pimples. A natural blend of Neem and Turmeric bring together their antibacterial and antifungal properties to prevent the recurrence of acne over time. 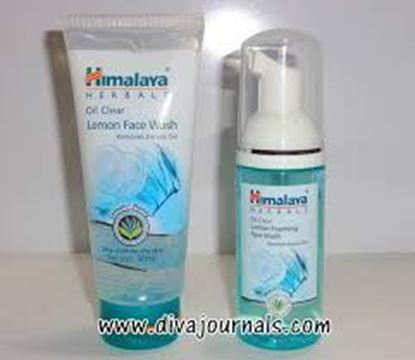 Himalaya Oil Clear Lemon Foaming Face Wash is a soap-free, herbal formulation that gently cleanses your face and removes excess oil. Blended with Lemon, an astringent and cooling agent, and Honey, which has natural, deep cleansing properties, the face wash leaves your skin clean without feeling dry and stretched. 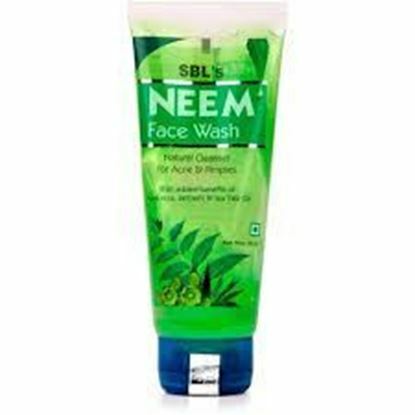 SBL Neem face wash is an antiseptic, antibacterial and antifungal face wash that treats acne & keeps the skin oil-free. SBL Neem face wash is a herbal blend of Neem, Aloe Vera, Berberis aristata & Tea tree oil. Neem kills the acne-causing bacteria preventing recurrence of acne. Aloe Vera stimulates cell growth and treats acne naturally. Berberis aristata clears complexion & Tea tree Oil improves the skin and treats acne naturally.